Jacqueline Wilson fans will be getting comfy in no time this Christmas with officially licensed bean bags by BeanBagBazaar, the UK’s leading designer and retailer of bean bags and bean-filled furniture. Aimed at children aged 7-12, the bags were designed in conjunction with the Tracy Beaker author herself. Featuring individuals and book covers from Wilson's stories, fans of her writing will be able to pick out their favourite titles and characters, which they can curl up with as they read the latest title, Four Children And It. Nick Sharatt's illustrations abound and are sure to prove a colourful decoration in bedrooms and libraries everywhere. The officially licensed Jacqueline Wilson bean bags are available in four unique designs exclusively from BeanBagBazaar from £49.99 with free delivery - and I know my inner twelve-year-old would love one. 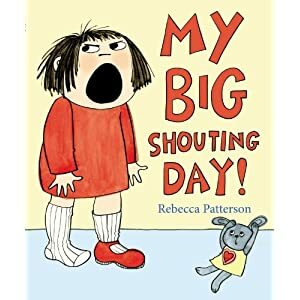 Massive Roald Dahl fans will be glad to hear of the recently-announced winners of the 2012 Roald Dahl Funny Prize: My Big Shouting Day by Rebecca Patterson (six-and-under category) and Dark Lord: Teenage Years by Jamie Thomson (seven-to-fourteen category). Each received a cheque for £2,500. Chair of judges Michael Rosen commented: "I'm very proud of the fact that this is the fifth year of the Roald Dahl Funny Prize, an award I cooked up when I was Children's Laureate in order to celebrate books that make children laugh. That's five years worth of books which are written with fun and enjoyment in mind. We know that reading for pleasure is an engine for attainment and achievement in all walks of life. Children, parents, teachers, librarians and all concerned with reading can find a rich vein of books for all ages in the back lists of this Prize, and this year's shortlists and winners are engaging, fascinating and above all, very funny." I often feel sorry that there will never again be another Dahl story - but perhaps Patterson and Thomson between them can provide us with the next best thing. HG Wells' classic sci-fi tale, The War of the Worlds, was made into musical form in 1978 by Jeff Wayne. Now, in 2012, a brand-new recording will refresh the recording of this iconic soundtrack. The new recording will take the form of a 2CD hardback, also being available as a digital download and special double vinyl with 52-page booklet and poster. Featuring Liam Neeson, Joss Stone, and Gary Barlow, the cast list is truly stellar and promises to introduce a new generation of fans to the success of the musical and book. Neeson will also be appearing in the 2012-2013 tour of the latest stage version alongside Marti Pellow, Jason Donovan and Ricky Wilson. Stunning 3D holography promises to complete the spectacle, which is surely unmissable as an end-of-year treat. Sadly it's not scheduled to come to the land of the froggy :( So I'll have to content myself with the film versions of Anna Karenina and The Hobbit, both out within two weeks of each other. Hardly a great hardship, I think you'll agree. In celebration of its 75th anniversary in 2013, Britain's best-selling weekly comic, The Beano, is releasing a special annual this Christmas. A traditional gift for the young and young at heart, it's packed with jokes and activities and should provide hours of fun for the £7.99 cover price. A perfect gift for someone born in 1938 perhaps - or anyone who still enjoys The Beano today. The bulk of the celebrations, though, will be focused on July 30th, 2013, on the exact anniversary of the comic's first publication - and the annual is just the first collector's item of merchandise that will be available in the UK. I have many happy memories of popping to the corner shop to get some sweets on a Sunday, and The Beano was among my magazine choices for sure, with Twinkle and Shout being just a few of the others. At the same price, the 2013 albums for the equally classic Dandy and the books of Jacqueline Wilson are also available as fabulous presents during this festive period. This is Your Brain On Music: Understanding A Human Obsession (Daniel Levitin) - I am continually trying to understand the deep connection that humans create with music to the point of it engendering and intensifying physical feelings within us. Perhaps Levitin's new tome will help? Jamie's 15-Minute Meals (Jamie Oliver) - with my time being increasingly squeezed by work, commute and driving lessons (and heaven forbid that I should actually have a life), the act of co-running a household seems to be something that is squashed into the cracks at times. Can Jamie make me more efficient? Look Me In The Eye: My Life With Asperger's (John Elder Robison) - hot on the tail of my reading of works by Daniel Tammet and Mark Haddon, I hope to understand even more about this multi-faceted condition. The Mind of God: Science and the Search for Meaning (Paul Davies) - recommended by one of the most intelligent people I know (thanks Steve! ), this is part of my quest to reconcile my burgeoning interest in science with my wish that I could somehow believe in a god. 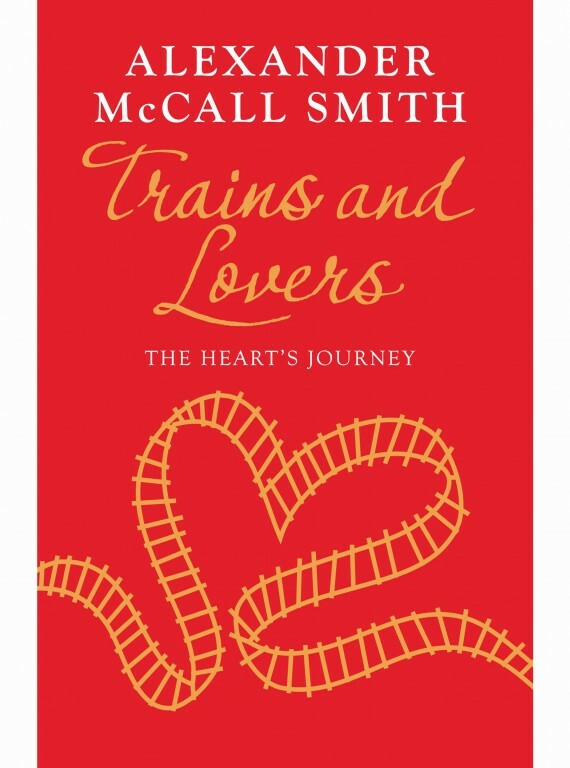 Trains and Lovers: The Heart's Journey (Alexander McCall Smith) - something witty and funny to cuddle into this Christmas. McCall Smith has never let me down so far with his panache and intelligence; Trains and Lovers therefore seems more than a safe bet.